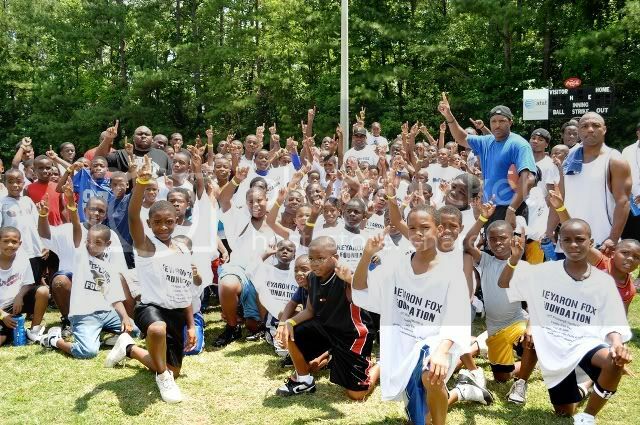 On Saturday, July 25, 2009, Fox celebrated the launch of his new foundation with his “Will of Steel Family Fun Day.” The event was held at Welcome All Park in College Park, Georgia and began with an athletic camp for the boys, and a cheerleading camp for the girls. After a morning of training, the children were treated to an afternoon of games, music, food, and live performances from the AND1 Streetballers, the Vistoso Bosses (Interscope Records), and Kids Gym USA. 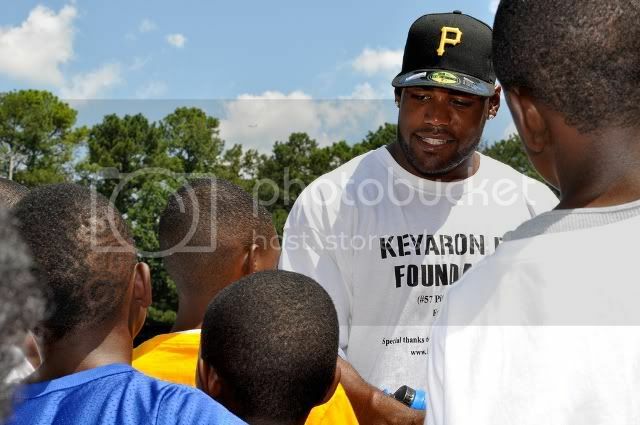 Special appearances were made by NFL constituents Eric Henderson (Cincinnati Bengals) and Sean Jones (Philadelphia Eagles). Fox leads the children in their warm-ups before running drills. Kadijah of the Atlanta Spirit taught the girls a cheerleading routine during their camp. Fox presented South Fulton Park officials with a check towards a new football field on behalf of the foundation, that will be matched by the NFL. 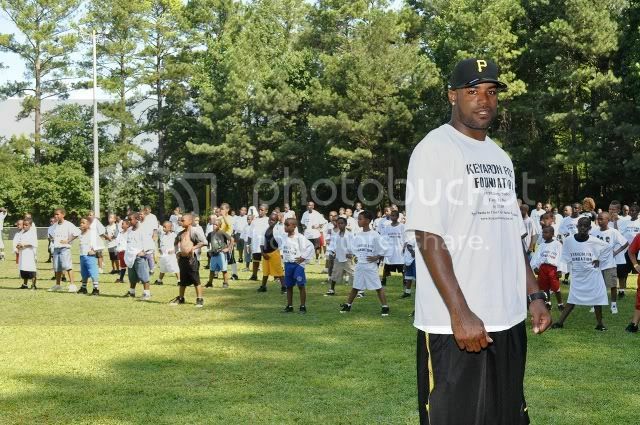 Over 400 kids came out to participate, along with the community, Steelers fans, and families benefiting from the renovation of the new football field. 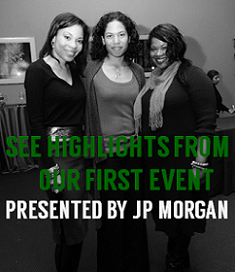 The Foundation would like to thank the event sponsors: Cartoon Network, 790 the Zone, P.I.T.T. 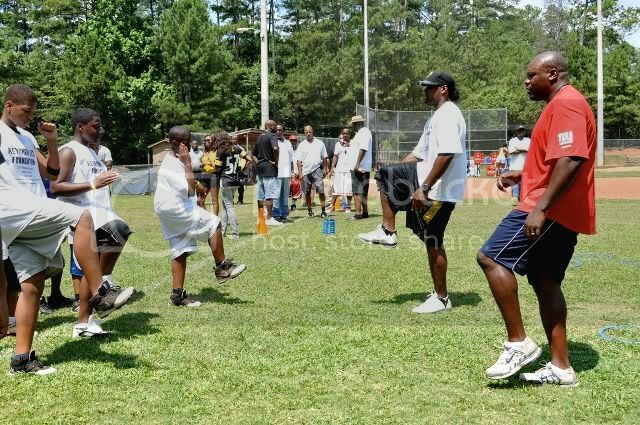 athletic camp, Fulton Country Parks and Recreation, Smoothie King, AEIM Fitness, the Atlanta Explosion, Coca-Cola, and Dunkin Donuts. 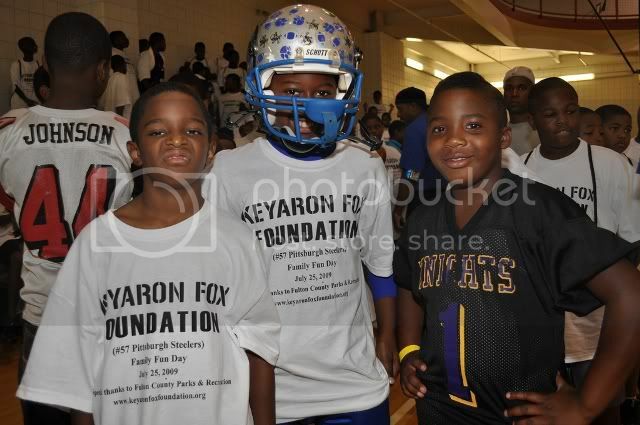 The Keyaron Fox foundation is committed to encouraging children to succeed through the support of local parks and recreation facilities. 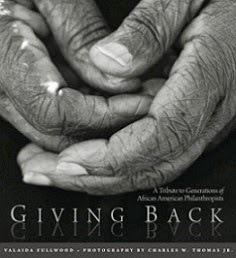 For more information, visit the website at http://www.keyaronfoxfoundation.org/.